The crazy lines of these reflections remind me of confetti, so it's an appropriate Happy New Year choice for Saturday reflections. 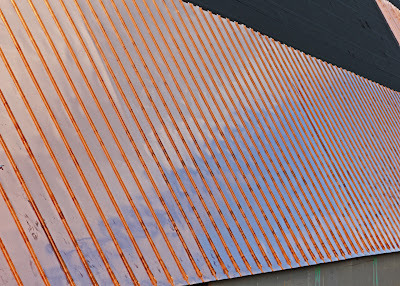 The picture above is of the windows on a tour bus in Oslo, reflecting the copper roof on a new building for the Fram museum now under construction. The roof, doing its own reflecting of the sky, is on the right.